U.S. President Donald Trump is pressing Turkish President Recep Tayyip Erdogan to “do something” to bring about the release of an American pastor jailed in Turkey on terrorism and spying charges. A Turkish court on July 18 dashed the hopes of Pastor Andrew Brunson’s immediate release. The court ordered the 50-year-old pastor, who has spent two years in a Turkish prison, to remain behind bars until at least his next hearing on Oct. 12. 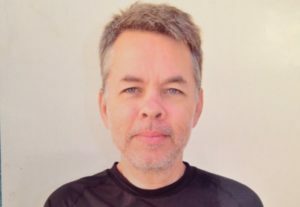 “A total disgrace that Turkey will not release a respected U.S. Pastor, Andrew Brunson, from prison. He has been held hostage far too long,” Trump said on Twitter. Erdogan “should do something to free this wonderful Christian husband & father. He has done nothing wrong,” Trump said. Brunson, a Presbyterian preacher from North Carolina, was detained during a wave of imprisonments after the failed 2016 coup in Turkey. Brunson was accused of abetting the Gulen movement – under the leadership of Fethullah Gulen, a Turkish Islamic scholar and cleric in exile in the United States. Erdogan blames Gulen for the 2016 coup attempt and many observers of the case believe Erdogan is holding Brunson in detention until the U.S. accedes to his demand to extradite Gulen. In February, 78 members of Congress sent a letter to Erdogan seeking Brunson’s release. Earlier this month, 98 European parliamentarians sent a letter to Istanbul condemning Brunson’s “wrongful imprisonment” and calling for his release.